Thanks so much for the tips! I was able to get my NES working again after taking it apart and cleaning the 72 pin connector. No problem and glad I could help! If they hadn’t all been stolen, I’d be taking apart my old Nintendo systems right now. Not even sure how I stumbled across this. You did a good job with the pics, and explaining not only the steps, but what YOU did to complete them. And I didn’t get the feeling your were talking down to me. One suggestion. If you could circle or highlight the correct chip for the people who don’t know what a microchip looks like. I’m pretty sure I can see where the pin is missing in the 2nd photo; and if I’m not positive, there are plenty of people who won’t have a clue. I have the red flashing light problem in one unit and the other unit has a solid gray screen. Cleaning and bending pins had no effect. Do you think I am not being aggressive enough with the pins or something? 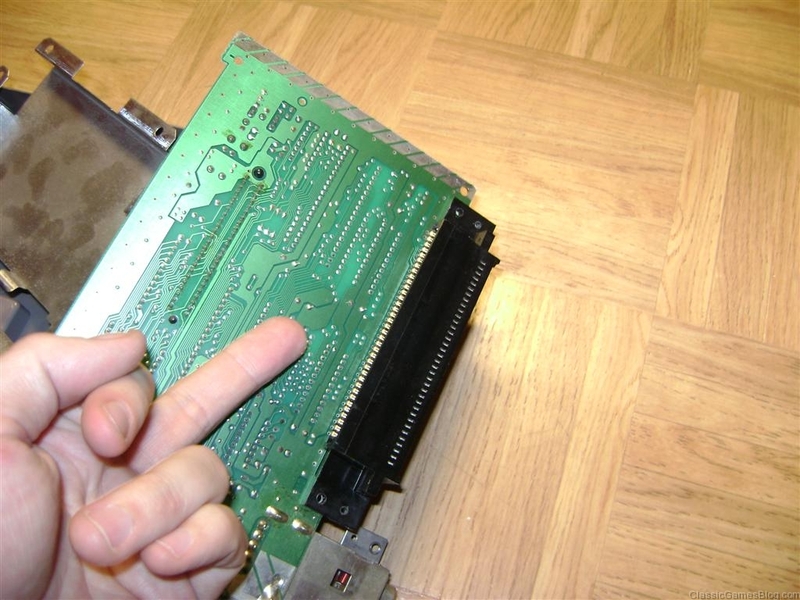 For the NES unit that has the red flashing light problem: Make sure you clean the NES motherboard pins where the 72 pin connector installs onto. 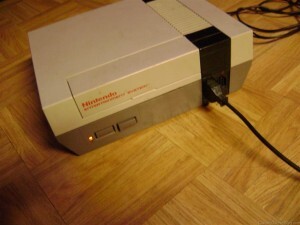 If it’s dirty it causes a poor connection and will cause your NES to reboot over and over. 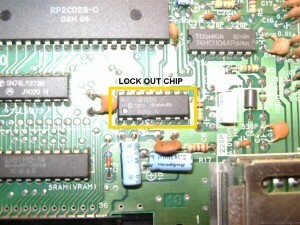 It’s not reading the game so the lockout chip (called 10NES) causes the NES to reboot over and over in 1 second intervals. 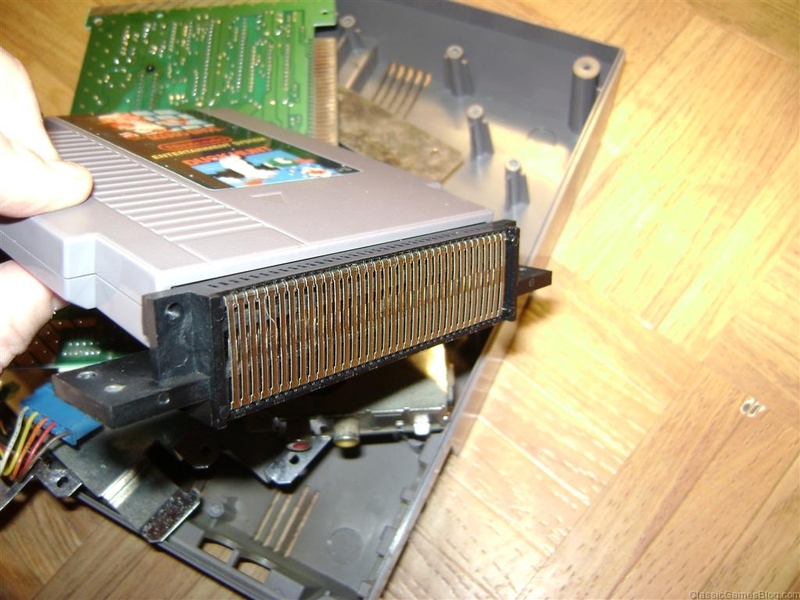 To troubleshoot the NES with the sold gray screen I would first make sure the game you’re testing it off of is clean and will work in another NES. Sometimes you need to “wiggle” the game after you press it down into the NES. The far left and right pins are the most picky. 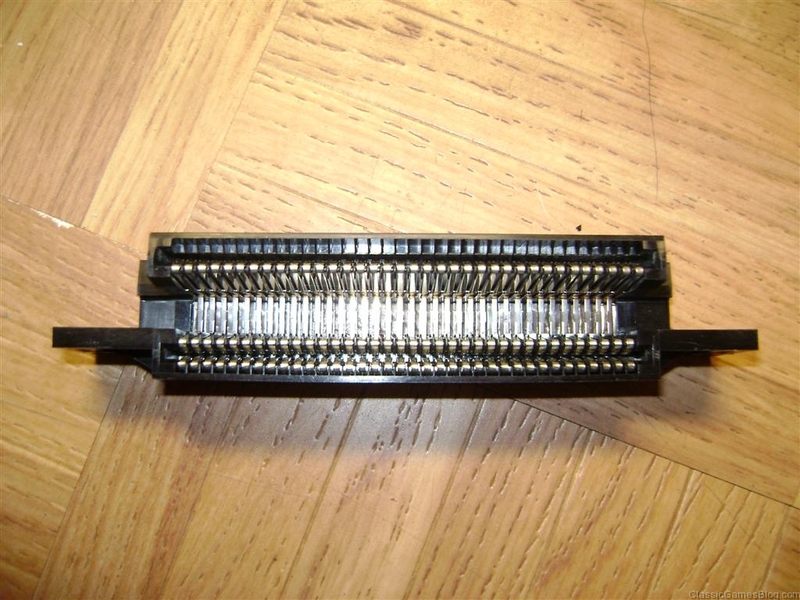 I’m assuming you cleaned and tried to align the “front” par of the 72 pin connector where the games get inserted into. 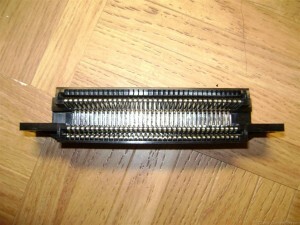 Look at the back of the 72 pin connector and see if any of the pins are bent or sticking out. It should look uniform all the way across or else you have a problem. Sometimes especially with the far left and right end connectors they can get bent and will not make a firm connection. If all this does not work your 72 pin connector will most likely need to be replaced. You may have dust or debris in the 72 pin connector so I would definitely make sure it’s completely clean. Since you “repositioned it” I suggest you inspect it for bent pins as this type of a problem can give you strange graphic glitches especially if you are trying to play games that you have already cleaned thoroughly. Bent pins are the most common fault we find, or issues with the UK front loading drive mechanism. Great guide guys! I replaced my 72 pin connector, cleaned the system inside and out and tested all my games on my old top loader to make sure they worked. Yet, after replacing and cleaning my old toaster model the screen either loads a solid color or very pixelated graphics and then freezes after a few seconds. Like I said, my games are cleaned and load fine on the top loader. Do you have any idea what might be wrong? Does the screen stay the same when you wiggle the games side to side in the NES? Yes. It will either be one solid color or the game will come on but the graphics are completely distorted. I would check the new 72 pin connector and make sure none of the pins are bent or out of alignment. You should also try cleaning it with alcohol just in case it’s dirty. If all of that fails try using another 72 pin connector. If you get the same result with that I have seen where bad video ram can cause the issue you are talking about. If that’s the case you would have to desolder it and replace it. I was able to get it working by removing the 72 pin connector and cleaning the metal pins on the motherboard it attaches to. The pins were caked pretty hard in green residue, but I took some lime away and a toothbrush to the board and cleaned it off. The nes now works again like it did in the 90s. It doesn’t play a clean game right away, I still have to blow in the cart a bit to get it to work, but after that they turn on and run just fine. Thanks for the info – I was able to get my NES Working again. I used an eraser to clean the connector on the motherboard, which seemed to work pretty well. I also read some “Weiman Glass & Stove Top Cleaner” works well, but didn’t try that. I did find I had to give the NES a Smack or two when playing certain games for whatever reason. Hi Steve, I recently broke out my old NES from the deep, dark recesses of my closet and tried to fire up my games. I initially had the blinking red light of death, but was finally able to get it to load my games with at little compressed air blown into the 72 Pin connector & the game contacts. Unfortunately, I can’t choose between 1 & 2 player modes (or between saved games) on the title screen. I took the unit apart and cleaned all the dirt & cobwebs off of the mother board. I also removed the 72 pin connector and cleaned it the best I could – I did notice a couple of bent pins along the back side and tried to bend them back as much as I could. I’ve tried switching controllers, but no success. The directional buttons on the controllers work just fine while playing the game, just not on the title screen… any suggestions? Do you have problems with every game you have or just one game in particular? Success!! Cleaned both controllers & everything works as it should! Great, It will help a lot to diagnose problems and solve it. This is a great guide. Many problems have came from that terrible 72 pin connector. I remember there was a time back in the early 2000s that if you emailed or called nintendo usa they would actually send out one replacement part. Ironically i had ordered one for another console of ebay and compared to the nintendo replacement the aftermarket was much more reliable. Hi, I’m stuck in this problem: I can hear audio of the games, but only have a blank screen. I’ve already tried to brush and clean the 72 pin connection to the cartridge and the connection to the motherboard. Any suggestion? Marco – Are you using RCA audio/video cables or an RF adapter? Also which model NES are you using, the Top Loader or the Front Loader? Hello. Question for you. I just recently pulled out the 72 pin connector and raised all the pins up and cleaned them with rubbing alcohol as I was having game freezing issues. Since the cleaning it seemed better but the games still freeze and I get colors that change on the screen. Any ideas as to what else could be wrong? I have cleaned the games connector with alcohol as well so they should be clean. Not sure what is causing the freezing. I have seen aftermarket AC adapters cause issues so please let me know if that fixes the “humming” or the intermittent freezing issue. Rather unique problem. The game loads, no blinking light, but the main character or potion that would be controlled by the controller is not reading. Mario doesn’t appear in Mario games, Simon isn’t on the screen for castlevania. Best that I can guess is that perhaps the mother board is corrupted? Has any one else had this issue and can it be repaired? We have tried multiple controllers and games and it the same issue. This could be caused by bad RAM or potentially the PPU itself. 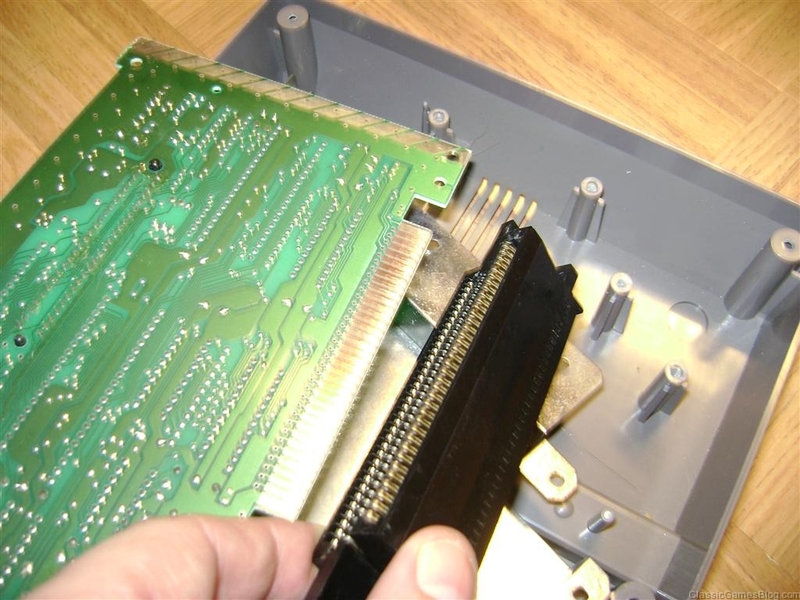 To replace the RAM or PPU would require de-soldering them from the NES motherboard which depending on your tools and skill set can be challenging. I’ve cleaned the games, motherboard, 72 pin connector and the system only sporadically works. The only game I can consistently get to work is Tyson’s Punch Out. Even then I have to push the cartridge in harder then normal. Suggestions? Two things I can think of: It sounds like the 72 pin connector is out of alignment and or your games are very dirty. Have you opened the games to clean them? Some games are so dirty that you need to open them up to clean them properly. 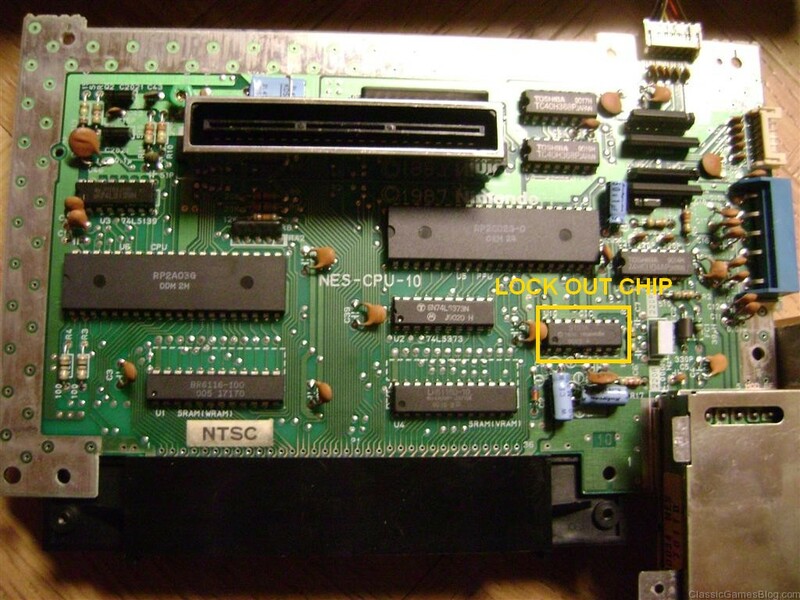 What tool do you use to get the back off of the NES to get to the mother board? I do not have a screw driver long enough with the proper head to fit the screws properly. It came from Nintendo with Phillips head screws. A number 1 Phillips screwdriver is all you should need but it’s possible that somebody may have swapped out the Phillips screws for something different. i have a new one for me, i have fix at least a dozen NES systems, rebent the pins, clean it up, disable the ten chip etc… never had an issue… have a system now that worked just fine, but i took it apart and painted it… put it back together… powers on fine, but as soon as i push in a game to the now tight pins, the power goes out… can’t figure out what is going on. Any ideas? Are you sure that the pins are correctly aligned in the 72 pin adapter? If not it could be bridging between two points and causing the issue. Does it happen with multiple games or just one game? i pulled the OEM pin connector, checked it, everything looked ok, but that seemed to be the source of the issue as it is the only thing in play when you add a game, i switched it out to an aftermarket pin just to check and the aftermarket one works flawlessly.. Hate using the aftermarket parts, but if it works.. so be it… . I’m glad you got it working. I haven’t seen that issue before but it’s good to know about it. Ok I finally figured it out!!!! So I have two tvs in my living room. And after almost giving up. I thought. Let me try the other one. Both flat screen HDMI.. So never really occurred to me to before. turns out that one is LCD and one is LED. Apparently the nes can’t handle the aspect ratio of one of those. After switching the pin connectors, buying another nes, multiple cleanings… Finally!!! I’m glad to hear you figured it out! Good board with bad connector = terrible graphics, but game events and program work. 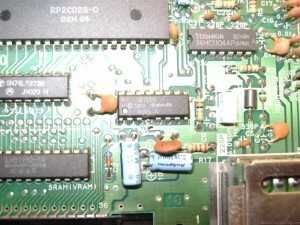 Bad board with good connector = not as terrible graphics, but game events and program work. I boiled the 72 pin connector to super clean it (the steam smelt terrible, but that means that it worked), and I bent the pins back into place (the ones in the back drove me crazy like always, but these were different, as two of them were bent up too much, but I managed to fix them). 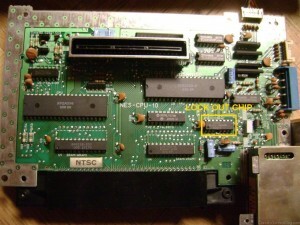 And I put the connector back in the console, and it had the same not-as-terrible graphics that came with the bad board but good connector. So now the 72 pin connector is not the problem. But again, the graphics looked like weirdly colored squares (but the game program still works). So the problem is with the board (I know that it is not with anything with the box itself, as I swapped out that too, and that had no result, so it’s good). I have a suspicion that the problem is either small amounts of corrosion on the connector thingy on the board that attaches to the 72 pin connector (but I used some REALLY strong stuff on it, so I don’t think it is the problem, but it might be), or something about that little metal box that connects to the power source, and the television. I do know that the problem shouldn’t have anything to do with the actual board itself, as there is no evidence of corrosion on the green board itself (other than the connector connection thingy). The corrosion (very small amount, but that could have big effects) on the board is rather finicky, any ideas of how to completely remove it without damaging the board (I.E. I can’t boil it away like the 72 pin connector, as it would literally take forever to dry it, plus, it is just dumb)? But if the problem is with the little metal box (as the box has quite a bit of corrosion on the outside, so I suspect it has some inside as well), do you know how to open it up to see what the problem is? I tried somethings, but they never seemed to work in opening it, plus, I really don’t want to break it, as I want to sell the NES when I’m done. If I can figure out how to open it, then I can open it up, along with that of the good console, and compare them to see what important differences there may be. So between these two alternatives, corrosion and that metal box, which one is more likely to be the problem (I’ll look into both), and how would I go about solving either of them? Unfortunately both of them could be contributing to the problems you’re describing. The little metal box has the RF and power supply circuitry built into it. There’s a lot of capacitors and other components in there that could cause you issues. To open it you would need to desolder the tabs that closes the unit together. If you want to attempt to fix the motherboard that is missing traces you could run “jumper” cables from a good trace over the parts of the trace that are missing to effectively bypass the damaged parts. Thanks so much for these tips! I was able to fix my childhood NES!